It’s that time of year again, the Polar Express is back! Join the Great Smoky Mountain Railroad as they take you and your family on a memorable journey to the North Pole. The storybook really comes to life as the train pulls out of Bryson City and winds through the quiet wilderness while you enjoy Christmas songs, hot cocoa, and good cheer!Upon your arrival in the North Pole you will be greeted by Santa himself. Santa will take the time to board the train and give a special gift to each child. The Polar Express starts this weekend, Nov 7 & 8 and continues on through January 4th, 2015. The Great Smoky Mountain National Park is the home of over 90 historic log homes, schools, mills, barns, churches, and outbuildings. These buildings are being preserved within the park. 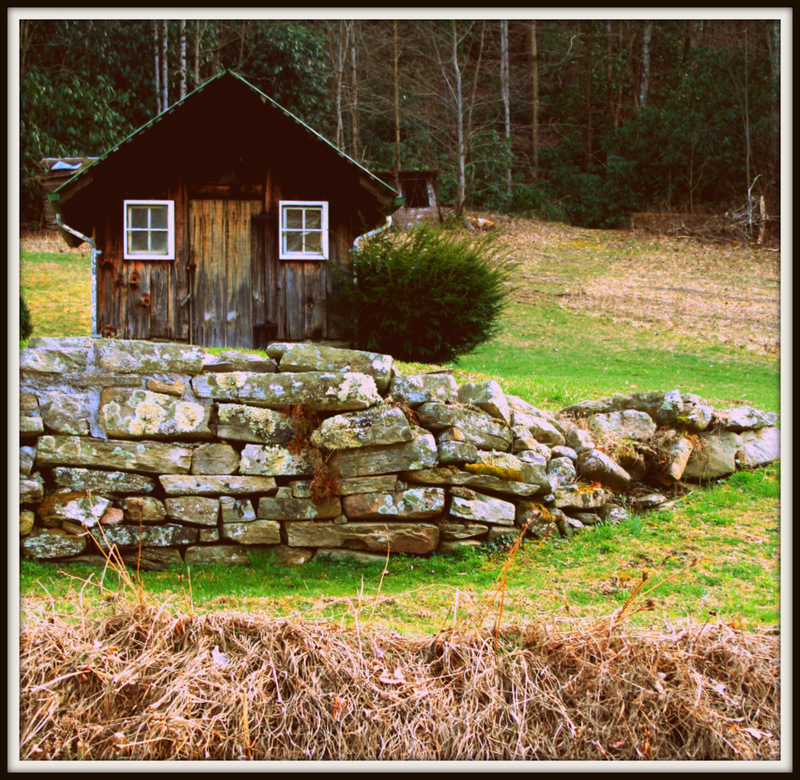 The best place in the park to see a good variety of these buildings is Cades Cove which has three churches, a mill, and various log homes and barns in one loop. A great hike for history buffs and nature lovers alike. The Oconaluftee Visitors Center offers a large collection of historic buildings that have been gathered from several places in the park and brought together to make the Mountain Farm Museum. Just up the road from there, you’ll find Mingus Mill. Though it is no longer surrounded by corn fields, the mill is still in working order. You can even purchase cornmeal ground there! Roaring Fork Motor Nature Trail offers views of historic buildings as well as waterfalls without having to get out of the car. A beautiful way to make yourself slow down and enjoy the ride. Friends of the Smokies is a not-for-profit organization in partnership with the Great Smoky Mountain National Park. They have helped the park not only maintain the trails and recreational areas, but they help foot the bill as well. Friends of the Smokies has raised over $34 million through individual, corporate and foundation contributions, special events, and sales of specialty license plates in Tennessee and North Carolina. The team works to preserve, protect, and provide for this national treasure. The group also leads hikes through the park. Full day hikes are the 2nd Tuesday of every month. The next one is August 12th. This hike will highlight the Appalachian Trail. Join Friends as they journey to Charlies Bunion. Round trip the hike is 8 miles and ascends 1,800ft in elevation. What better way to see the park than with a knowledgeable guide who shares a love for the outdoors? 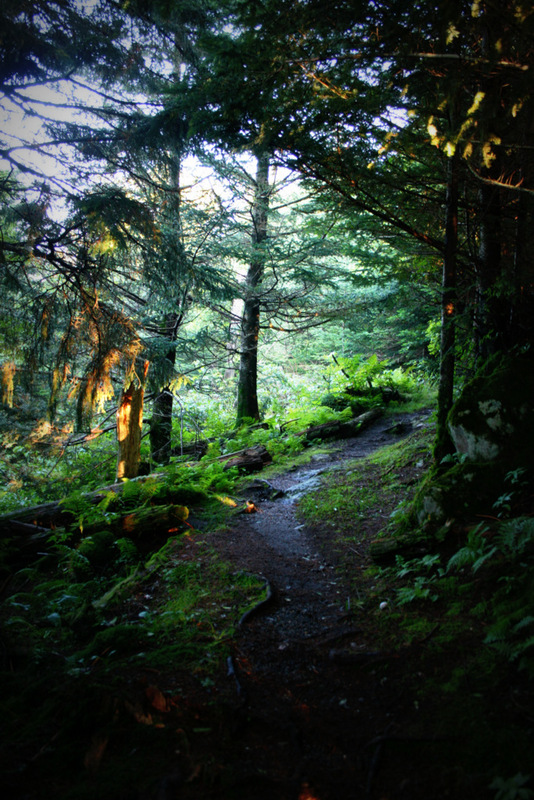 To join this Classic Hike of the Smokies a $10 donation for Friends members and $35 for non-members is requested to benefit the Trails Forever Fund. outreach.nc@friendsofthesmokies.org or call (828) 452-0720. 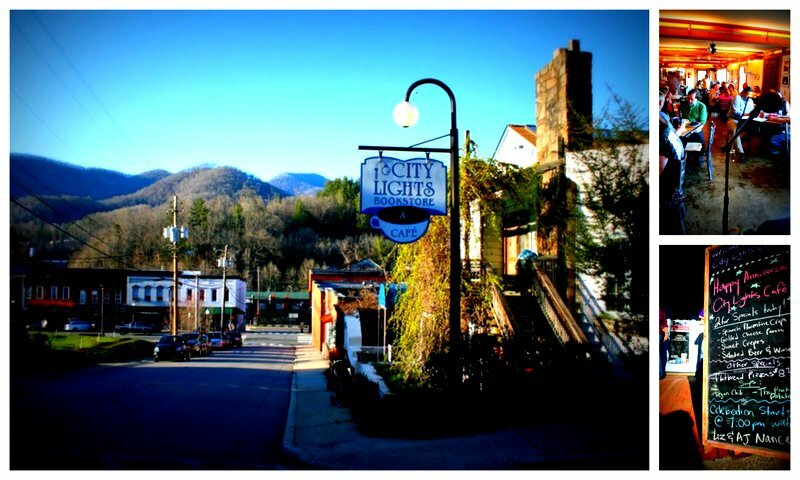 Not far from Bryson City is the quaint little town of Sylva, NC. Located in the historical downtown area you’ll find several great places for music, food, and libations. City Lights Cafe is on the bottom level of City Lights Bookstore. The cafe serves local and organic food and coffee. On weekends, the sound of local music dances through the building. The walls are decorated with the works of a different local artist every month! So go in and support live music! Enjoy the best of our locality. EVERY THURSDAY – Thirsty Thursday – A Buck Off all glasses of wine, and beer! 4th Tuesdays – Yappy Hour with Pets on the Patio from 6-9. 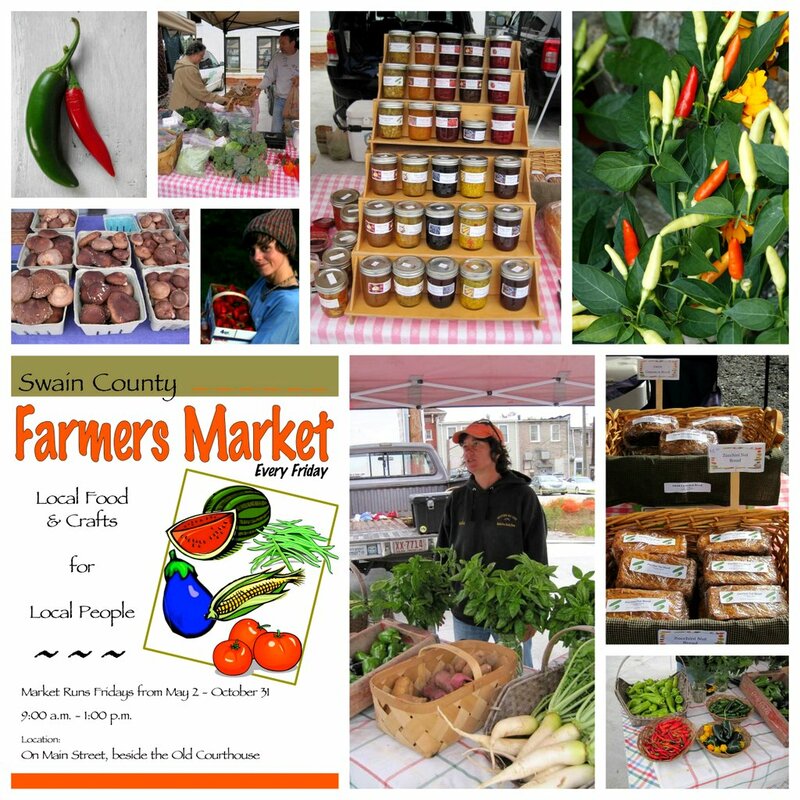 The Swain County Farmer’s Market starts up again this Friday, May 2. Offering the best of WNC’s freshest vegetables, local honey, homemade jam, fresh baked bread, herbal remedies and handmade crafts. Visit the Swain County Tailgate Market in Bryson City in the parking lot behind the old courthouse at the intersection of Everett Street and Main Street. They meet every Friday from 9am-1pm. Here on vacation? Here’s your chance to get a true taste of Western North Carolina. Pick up organic veggies for grillin’ or fresh baked muffins to enjoy with your coffee. The market is also a great place for meeting local farmers and making new friends. 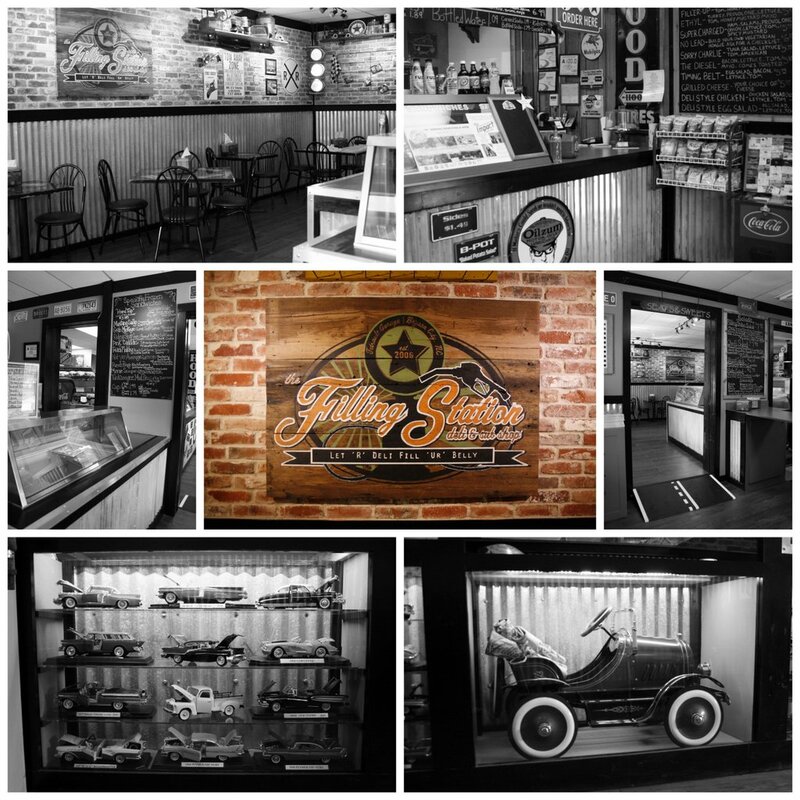 After almost 8 years of serving Bryson City, The Filling Station has expanded! The original menu is the same, with lots of tasty hot pressed sandwiches, homemade soup and fresh salads with delicious dressings to go along with them. The expansion is called “Seats and Sweets”. That’s right! You can now sit down and eat. The sweet part of the expansion continues on in the spirit of a true sandwich shop with frozen soft serve served between two cookies. The cookies are made in house! The dessert menu offers a large variety of flavors and options and like always, if you don’t see something you want, they’ll make it for you! Go for lunch and fill up with one of their classics like the Ethyl, Diesel, or No Lead. Then step to the counter and order a fix for your sweet tooth with something like a “Grab My Keys”, which is key lime soft serve on graham cookies. You can have it “hard top”, right out of the freezer or “convertible”, open faced and covered in whipped cream and sauce. So go grab a seat! Hang out! Eat! They’ll treat ya like family even if it’s your first time there.